Hey Everyone! I am so excited to share today's card with you! 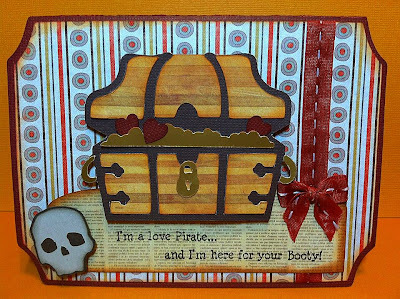 I did use my cricut on this card to cut out the treasure chest (Life's a Party) and the Skull (Gypsy wanderings). 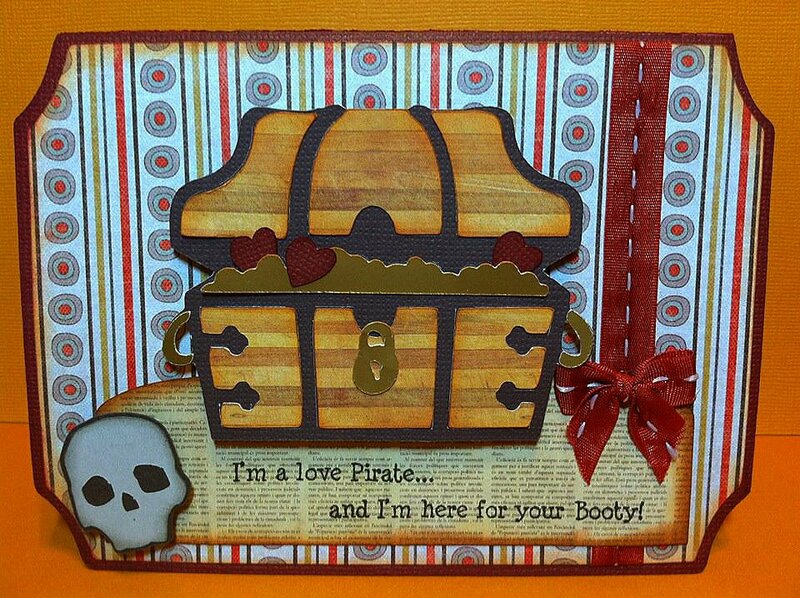 I also cut out the base of the card on the Cricut by welding shapes together using Lucy Labels. What a cute card. It made me giggle! Love it! This is THE coolest card! I'm going to have to make one for my guy! Thank you for posting it. I love the "booty" in the chest. Very Creative! of course its a cute card !! love it !!! Its super cute! I love it! Love this card. Great shape and cuts. The sentiment goes perfect and I love the ribbon.